6 Inch breathable and luxurious talalay latex mattress, made with German technology and quality. Perfect for Indian weather. 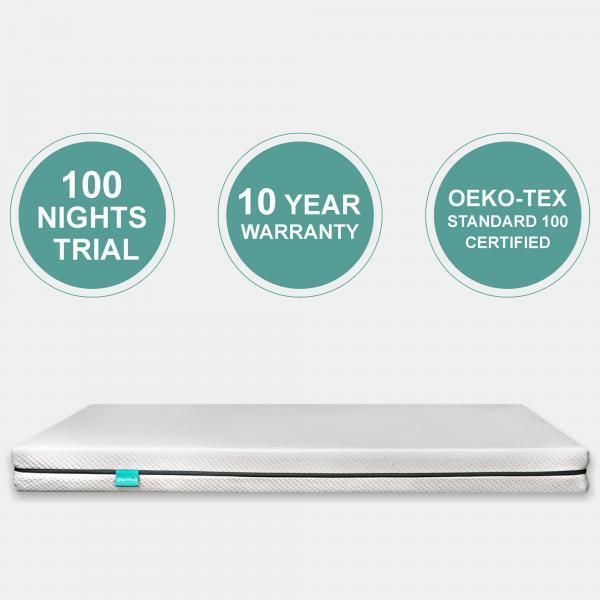 Orthopedic mattress, 30% more pressure relieving than any other latex mattress. Exclusive talalay latex mattress available in India. 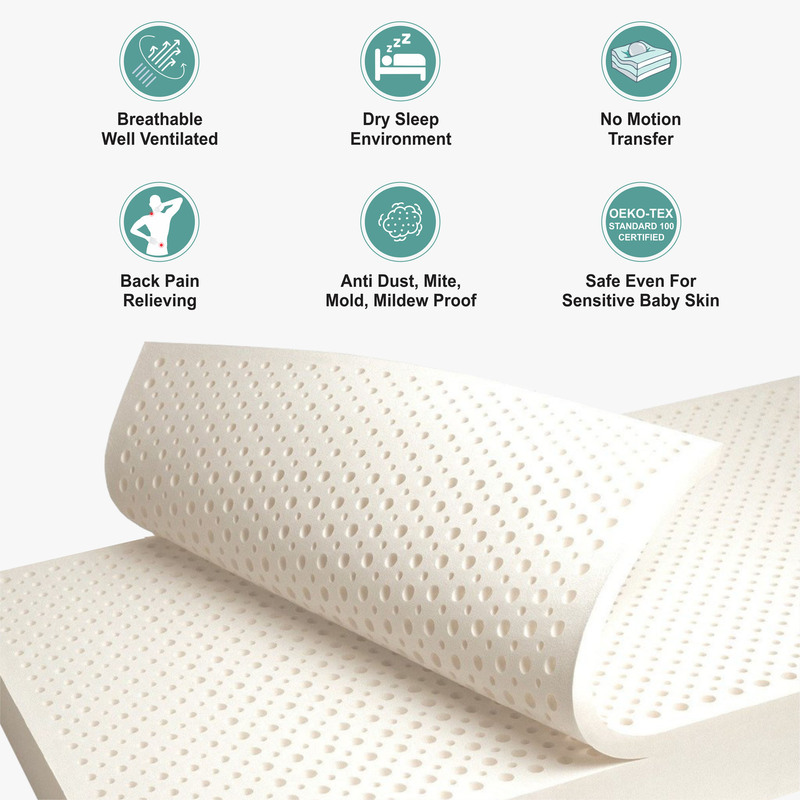 Presence of talalay latex provides complete comfort. Talalay latex has high breathability and moisture regulating property that provides healthy and hygienic sleep. 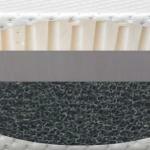 Talalay latex has 2.5 cm talalay latex, 12.5cm polyurethane foam. Vita Talalay is highly well-ventilated, ensures the best sleep environment. The ideal bedroom temperature to fall asleep is between 15 to 20 °C. Vita Talalay mattresses have an open cell structure that prevents the user to stay warm during the winter and cool during the summer. 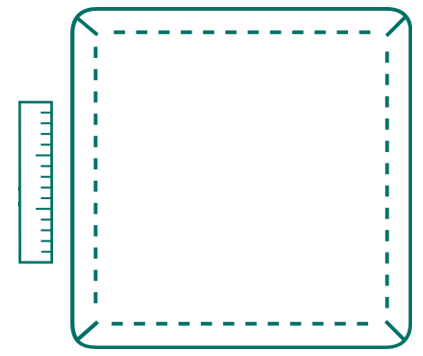 The open cell structure keeps the mattress ventilated as it cycling the fresh air around to give more life and ventilation to the mattress. 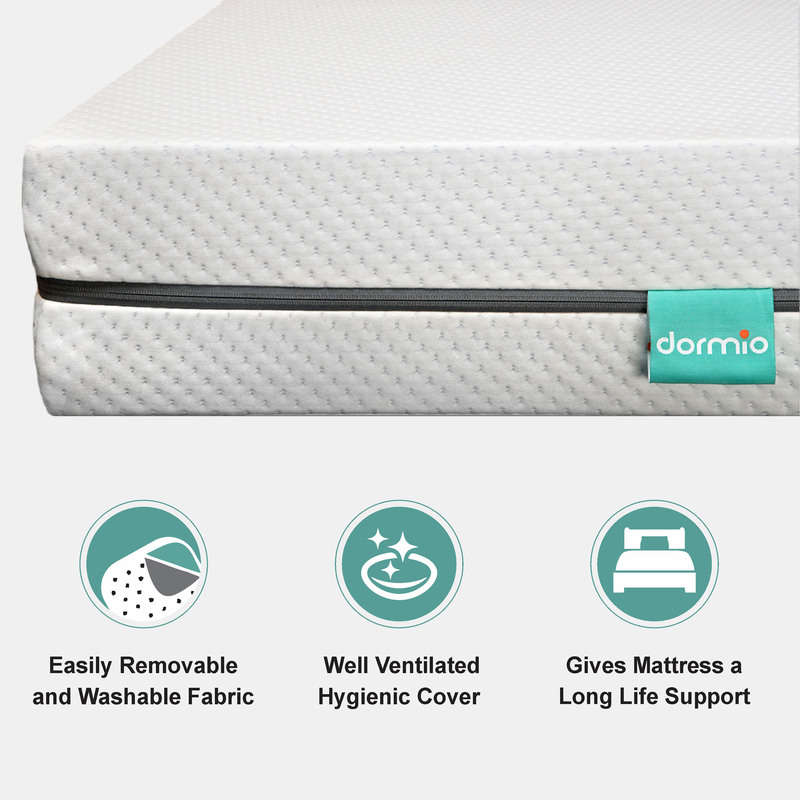 The ventilation promotes a hygienic and healthy sleep environment by preventing the users to sweat. It is also an anti dust and mite, so you do not have to worry about rashes anymore. 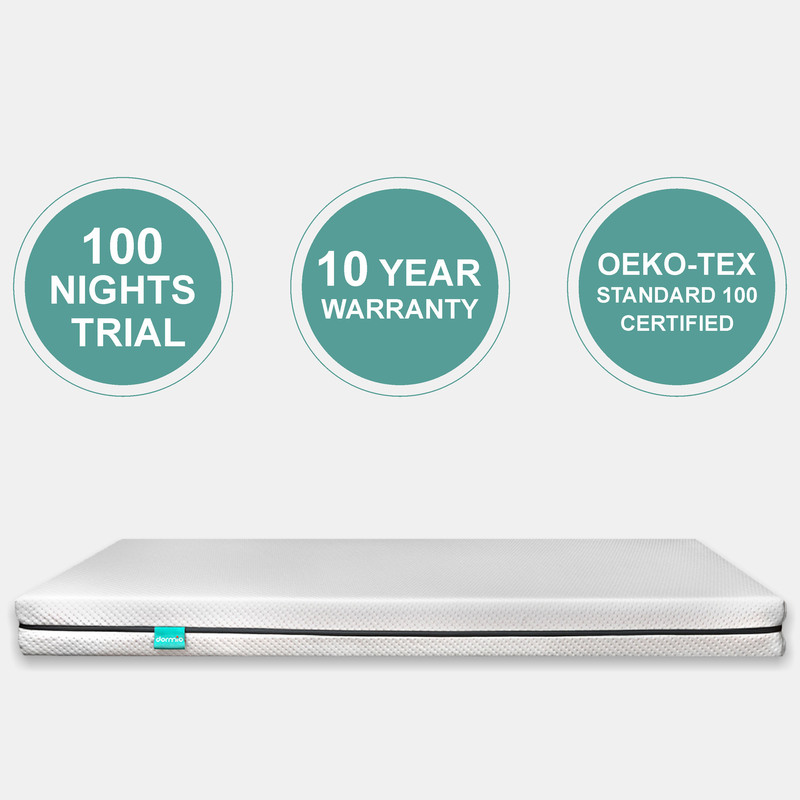 The high density base layer adds strength and durability to the mattress. 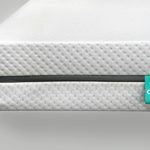 The base layer adds the firmness to the mattress and also provide the perfect amount of bounce required while sleeping. The talalay latex takes the shape of your body while you are asleep, it gives support and comfort to all the parts of the body. It provides utmost comfort to muscles around the back. Be it a side sleeper, back sleeper or stomach sleeper, the mattress understands the sleeping posture and takes the shape of the body. It provides no motion transfer. Our products are made from high quality, anti -bacterial materials that are free from harmful substances, ensuring a healthy and hygienic sleep. The additional support layer provides adequate support to the spine and prevents pain in the bones, joints and muscles, thus providing a relaxed sleep. 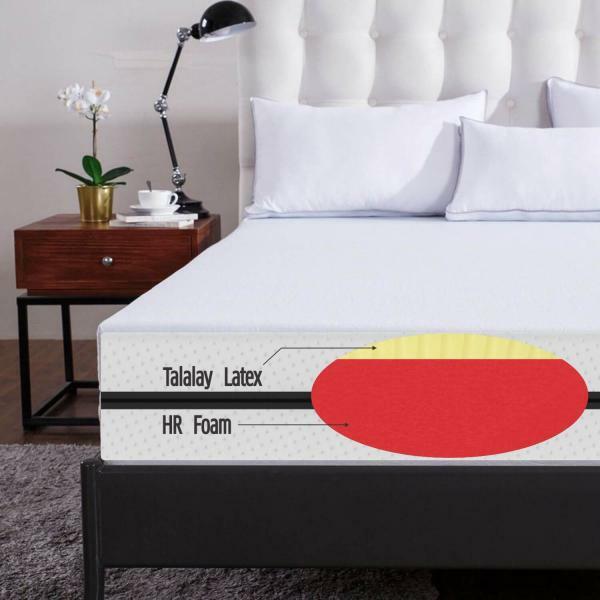 Available in soft, medium and firm talalay latex layer on top and high supportive layer at bottom . It can be customized upon individual preferences. Bought it.. loved it. sleeping is my favourite hobby after i bought latex mattress. I got this mattress along with a tinnitus pillow. Both are best in their own ways. This mattress allows me to sleep comfortably. Not only this, I had sever back pain. The latex mattress helped in reducing the pain and adjusts according to my body shape. The mattress is really good quality. I can feel a huge difference from my old mattress. What I like the most is the removable cover which I can machine wash because I like to wash my covers regularly. The fabric is quite airy. This is the finest mattress with premium and luxury feel. the mattress is comfortable and balanced hardness. I have beed using it for more than a year now. It is still as new. Cover is easily washable. Would definitely recommend it if you are looking for a mattress for the back and neck support along with a luxury touch.. The best latex mattress i have used.Very comfortable with premium feel. The latex is highly breathable and airy. Outer fabric is removable and washable. I would highly recommend this mattress to feel the best of latex. I have had back issues since forever, later my friend recommended the latex mattress to me. Thank god, with the usage of the mattress my back pain is gone. Quality and comparability is very good. the price of this product worth it.